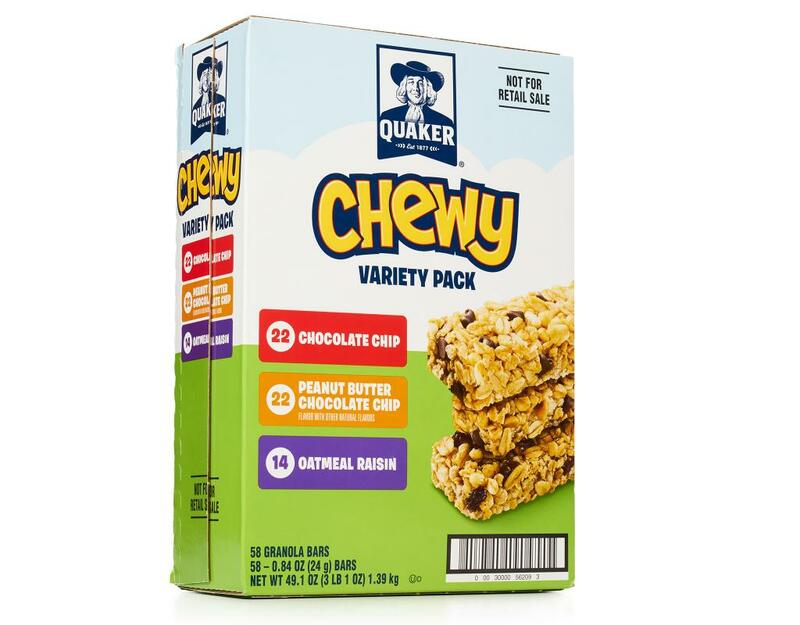 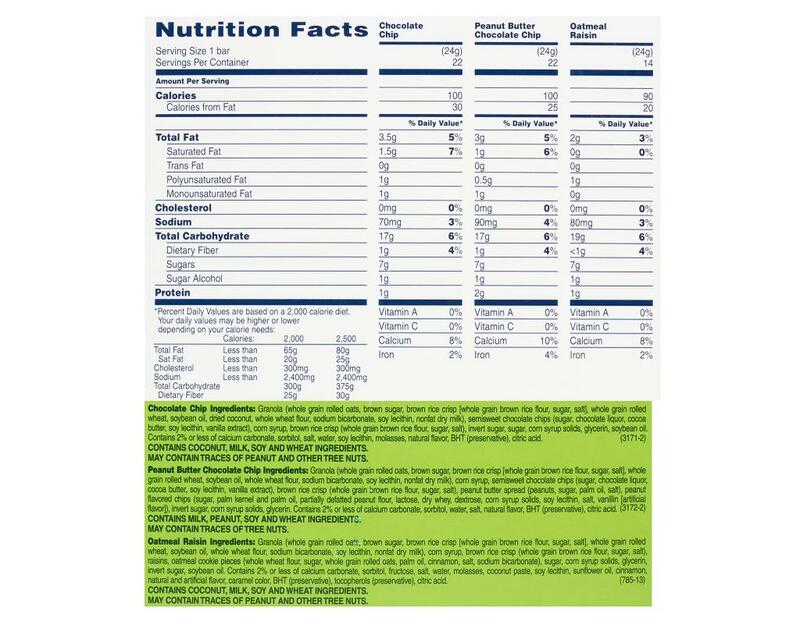 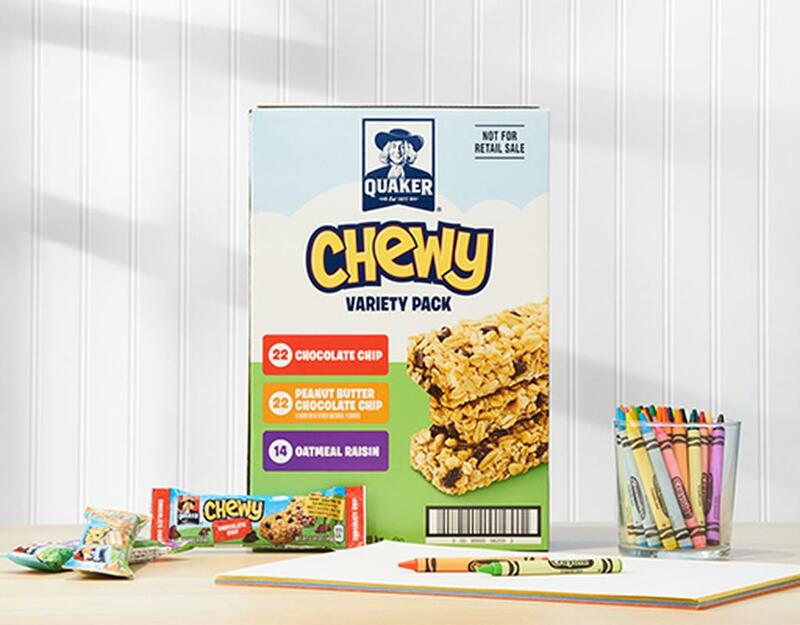 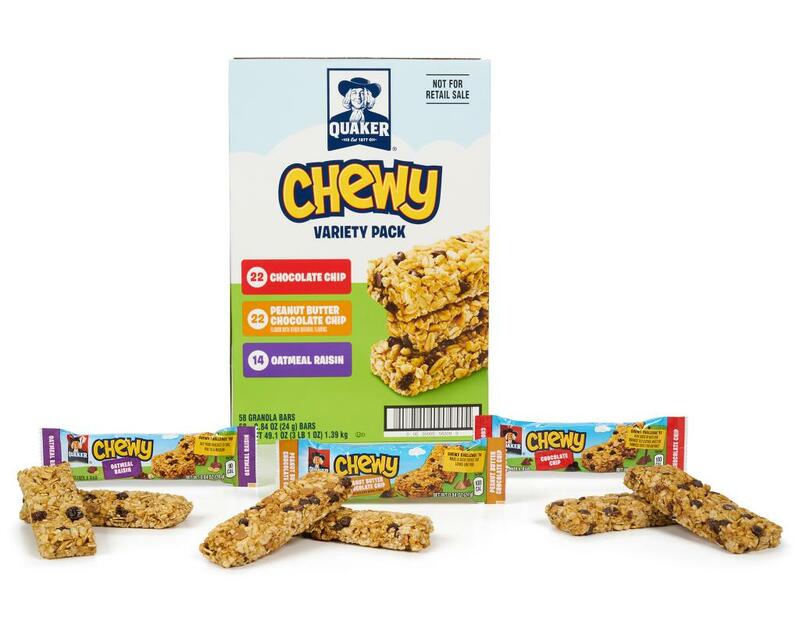 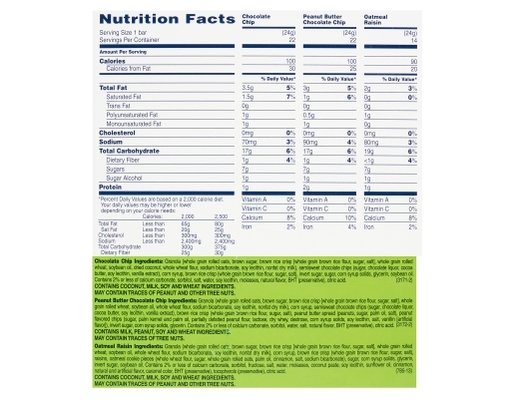 Quaker Chewy Bars are a tasty choice for your active family with 8g of whole grains per serving and no high fructose corn syrup. 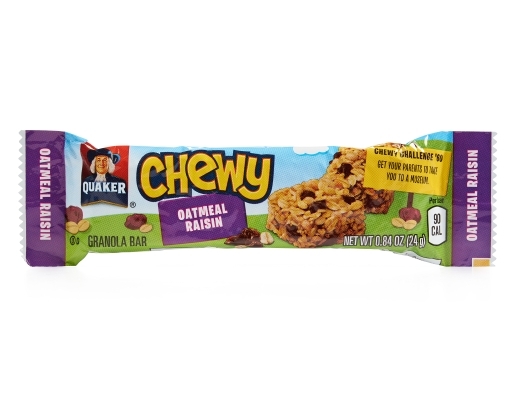 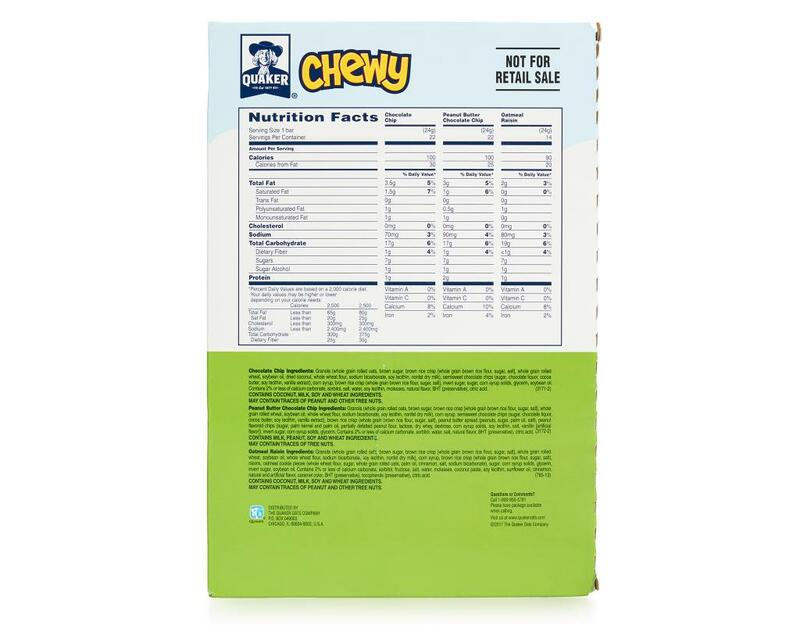 Each variety pack contains 58 bars in chocolate chip, peanut butter chocolate chip, and oatmeal raisin, so your favorite flavors are always within reach. 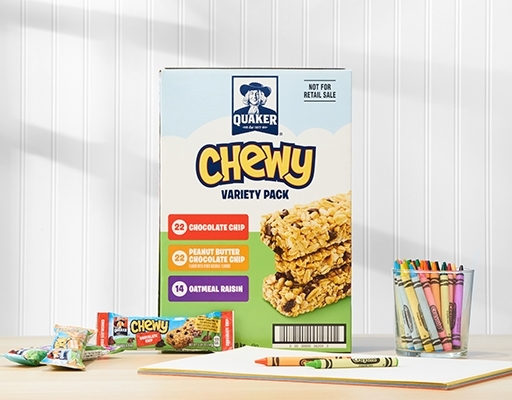 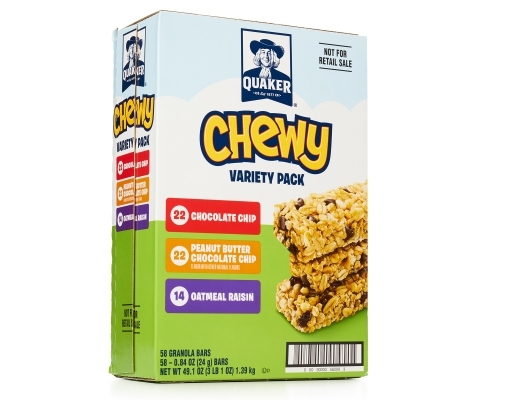 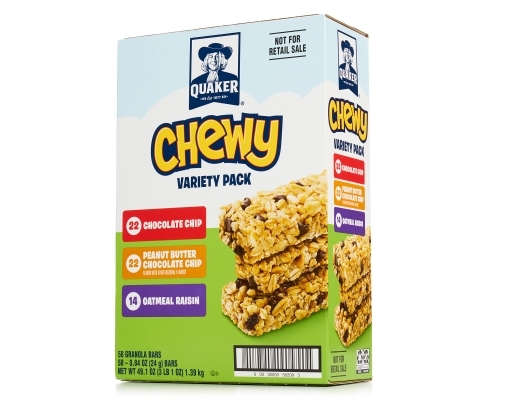 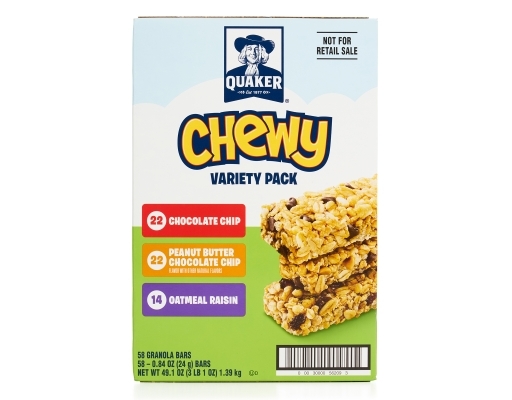 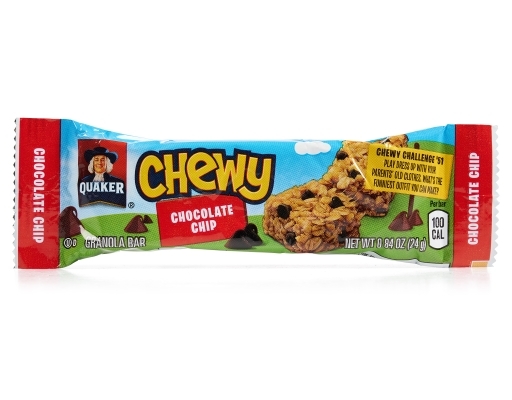 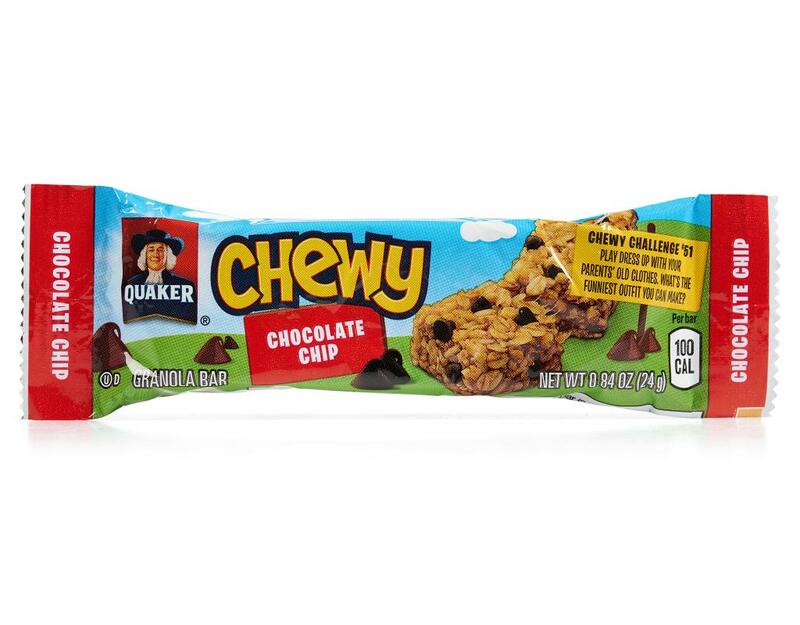 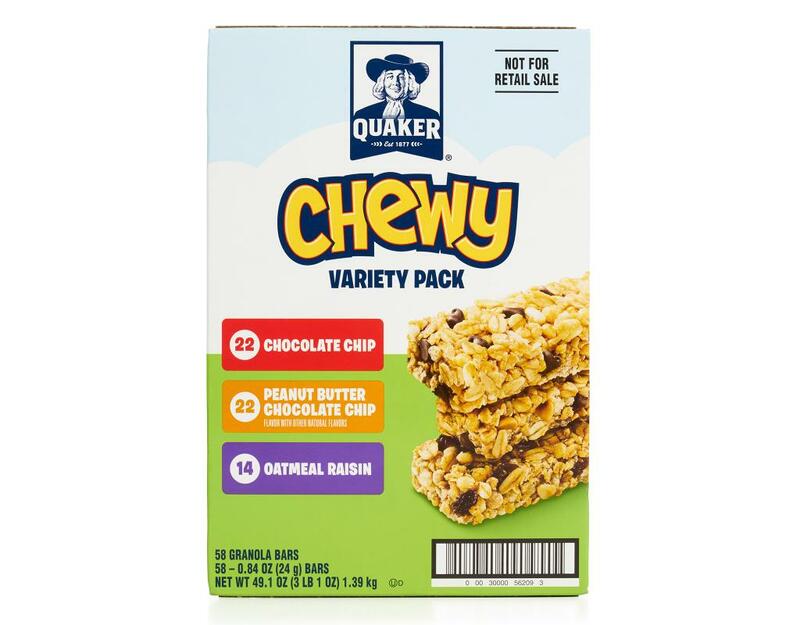 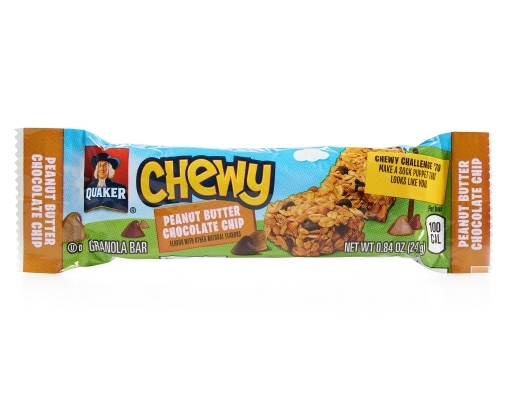 You can trust Quaker Chewy granola bars to keep your family going.